The Hybrid SEL model represents the best value and most utility of any Ioniq in the range. Its added active safety features and bargain-basement starting price tag make it the clear value choice. The 2019 Hyundai Ioniq is an affordable hybrid or plug-in hybrid that trades on its affordability rather than luxury. The 2019 Hyundai Ioniq polishes the automaker's green credentials with a three-pronged pitch to green-car buyers. The Ioniq is relatively unchanged from last year’s car, but Hyundai has added some needed standard active safety features to the Hybrid SEL trim level. The Ioniq is offered with a choice of three powertrains: Hybrid, Plug-In Hybrid, and Electric. 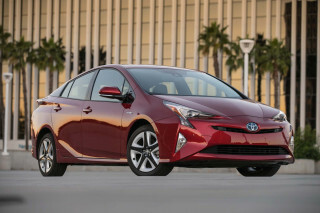 Hybrid models are available in three trim levels: Blue, SEL, and Limited. The Plug-In and Electric Ioniqs are offered in base and Limited trims. Electric models are only available in California at of the time of this writing. Though it goes head to head with mainstays such as the Toyota Prius, the 2019 Ioniq acquits itself well in the hybrid hatchback world. It's a likable little car, and Hyundai's gone to lengths to make it feel normal, something the stalwart Prius still doesn't do very well. While the Hybrid model will be the only widely available and nationally marketed model (and our pick for best value), the Ioniq’s lineup includes plug-in, full-electric, and hybrid options. The wide variety of choice sets it apart in the marketplace. Every model is fairly well equipped with a 7.0-inch touchscreen with Apple CarPlay and Android Auto compatibility. The SEL trim level is our pick of the bunch with heated front seats, power adjustable driver's seat, a 7.0-inch digital instrument cluster, and standard active safety features including automatic emergency braking. The 2019 Ioniq hides its green technologies in a normal sedan package. The 2019 Ioniq maintains a familiar sedan shape while delivering a now-familiar hybrid experience. The Ioniq’s three model choices each offer slightly different styling, and while the Ioniq shares some underpinnings with the Elantra sedan, there is no mistaking the two from a design standpoint. Normal sounds like a strange selling point until the Toyota Prius and Nissan Leaf are considered, with their highly stylized interiors that have big learning curves. Even with four doors the Ioniq is still a hatchback, and because of this the exterior lines sweep neatly upward from front to back. These styling cues not only accommodate the larger cargo area, but help reduce wind resistance and drag. The little Hyundai hides its funky shape as well as anyone. Unlike some hybrid and electric vehicles, at least one Ioniq gets a real grille and open front fascia. Flanked by neatly integrated headlight units that feature either projector or HID lights, the front end of the Ioniq is stylish and tasteful. The Ioniq’s interior, while plain, is where the magic happens. Hyundai avoided stuffing in much of the futuristic fluff that its competitors have so strongly embraced, and the result is a super high-tech car that feels normal and familiar to drive. The shift and parking-brake levers have been replaced with a set of buttons and controls for the interactive display. The Hyundai Ioniq is fun to drive and one of the most fuel-efficient vehicles on the road. The 2019 Ioniq’s performance is a game of give and take. Hyundai had to design the car to be flexible enough to work with three distinct powertrains, which results in a vehicle that is good across the board but not great. While the Ioniq feels faster than its platform-sharing cousin, the Kia Niro, its power output is nothing special when compared to others in the category. Even with the limitations inherent in its design, the Ioniq manages a smooth drive, which says a lot about the level of sophistication in Hyundai’s single-motor design. Hybrid Ioniqs get a 1.6-liter inline-4 that produces 104 horsepower and 109 pound-feet of torque. The engine is supplemented with a 32 kw (43 hp) electric motor that makes use of regenerative braking and a 1.56 kwh battery. The Ioniq plug-in hybrid model also uses a 1.6-liter inline-4 with 104 hp and 109 lb-ft of torque. This engine is designed to maximize fuel energy use and has been tuned to be paired with a hybrid system, which is handled by a 45 kw (60 hp) electric motor. The powertrain is completed by a 6-speed automatic. 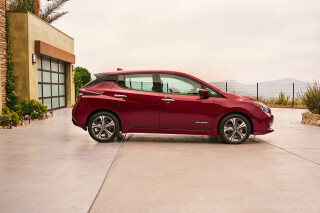 On pure electric power, the plug-in hybrid can travel 29 miles. Electric models are powered by an 88 kw (118 hp) motor that gets its juice from a 28 kwh lithium-polymer battery. This package is good for a range of up to 124 miles and an energy consumption rating of 136 MPGe, which should be good enough to help the Ioniq keep its crown as the most energy efficient vehicle on the market for another year. Hyundai’s focus on making a hybrid that is also fun to drive shines through in the Ioniq. The two hybrid models receive multi-link rear suspension, while the electric model’s larger battery pack limits it to a torsion-beam rear axle. The system is set up to work with a range of 15-, 16-, and 17-inch wheels and low-rolling resistance tires. The Ioniq is blessed with a lower center of gravity, thanks to its battery placement. The Ioniq’s regenerative braking package works well overall, with only a few blips showing up during transitions between regenerative braking, dual-clutch transmission shifts, and friction braking. With no transmission, the electric model is buttery smooth all around. The Ioniq manages decent acceleration despite its paltry horsepower numbers, thanks to its low curb weight. Fuel economy is about the same regardless of driving style, so there’s no reason to be ginger and try to save gas. The 2019 Hyundai Ioniq’s has a comfortable ride but its roof eats into some head room. Small, efficient cars write checks that rear-seat comfort cash. The 2019 Ioniq casts a smaller shadow than its chief rival, the Toyota Prius, and it’s lower than the Chevy Bolt EV and Nissan Leaf. The front seats are well-bolstered, but occupants ride a bit low in the cabin. While the seat positioning is similar to the Ioniq’s gas-sipping sibling, the Elantra, it feels even lower when compared to comparably-sized crossovers. The Ioniq’s cabin benefits from its wide measurements, which give it an open and spacious feel. Rear-seat leg room is good enough for two adults, but not much more. Taller riders will feel the pressure from the Ioniq’s sloping roofline. The Ioniq’s passenger space puts it in between the smaller Prius and larger Ford C-Max and Kia Niro, but the interior setup is such that front seat space is prioritized. Short trips in the back seat will be fine, but the Ioniq may not be the first choice to haul four adults on a road trip. The Ioniq makes use of the space it has with plenty of cubbies, bins, and cupholders. While it is larger than the Prius in passenger space, its cargo volume falls a little short at 26.5 cubic feet. Electric and plug-in Ioniq’s have 23.8 cubic feet of volume, besting competitors from Ford and Chevy. The Ioniq’s cabin is quieter than most, and the engine’s revving is not intrusive. The 6-speed dual-clutch transmission also helps keep most stray engine noises under wraps, even through heavy acceleration. Hyundai has sourced recycled and sustainable materials for the interior, including a plastic composite made from powdered wood and volcanic stone. These are a nice touch and feel different than regular plastic. The Ioniq range does contain more plastic than we’d like to see overall, even at the top end of the price range. The 2019 Ioniq lacks complete crash-test data. The Hyundai Ioniq lacks a complete set of crash-test scores, but what’s in already is very good. The IIHS gave the Ioniq top “Good” scores in every crash test including the relatively new front passenger-side small overlap crash test. When equipped with automatic emergency braking, the Ioniq was rated as “Superior” for avoiding forward collisions up to 25 mph. This year, Hyundai added automatic emergency braking to SEL-equipped Ioniqs. Aside from active safety features, the Ioniq is equipped with airbags for all belted passengers and child seat anchors that the IIHS rated as “Acceptable” for ease of use. Blind-spot monitors and active lane control are available as spend-up options on most models. The Ioniq offers a wealth of trim and powertrain choices at a reasonable price. With three models and at least two trims to choose from for each, the 2019 Ioniq doesn’t leave us wanting for options. 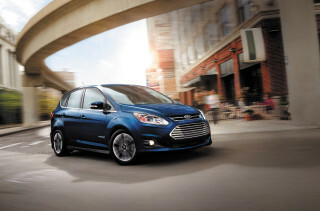 Hybrid models are available in Blue, SEL, and Limited, while the other two come in base and Limited flavors. The Ioniq Hybrid Blue starts at just over $22,000 and includes a keyless ignition and a 7.0-inch touchscreen with Apple CarPlay and Android Auto compatibility, dual climate control, and 15-inch alloy wheels. SEL models begin at $24,000 and add heated front seats and door mirrors, LED daytime running lights and taillights, power-adjustable driver’s seat, 7.0-inch display in the instrument cluster, and standard active safety features that we cover above. The $27,550 range-topping Limited trim brings leather, interior LED lights, power sunroof, 17-inch alloys, more trim accents, and Hyundai’s telematics system. 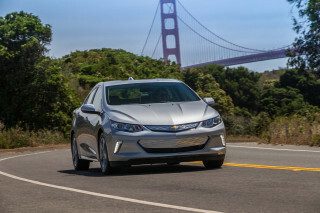 Base versions of the Plug-In and Electric Ioniq cost $24,950 and $29,500 respectively and have features roughly comparable to the Hybrid SEL model—other than the obvious differences in their powertrains. An Ultimate Package is available for all three models that adds more safety features such as adaptive headlights and rear parking sensors. The package also brings navigation with an 8.0-inch touchscreen, wireless smartphone charging, rear air vents, memory driver’s seat, and an eight-speaker Infinity premium audio system. Navigation-equipped Ioniqs are now equipped with an advanced voice recognition service. Known as HERE, the technology moves the voice processing duties to the cloud, where the computing power is much greater than an in-car unit. The result is a much more accurate response to voice commands and more information available in search results, including charging stations. All Ioniqs come with Hyundai’s 5-year/60,000-mile limited vehicle warranty and 10-year/100,000-mile powertrain warranty. The 2019 Hyundai Ioniq comes in three flavors: green, greener, and greenest. There’s not a bad pick in the bunch. 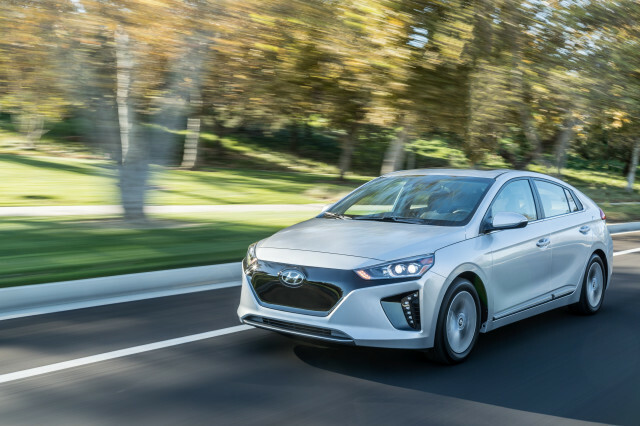 Hyundai has bragging rights: The 2019 Ioniq Hybrid Blue is the most fuel-efficient vehicle on the road sold without a plug with combined EPA ratings at 58 mpg. That’s impressive. With a plug-in and full-electric model on offer, the entire range reaches black-belt levels of efficiency. Or should we say green? The Hybrid will be the most popular model with shoppers. Its most recent EPA ratings are 55 mpg city, 54 highway, 55 combined. Slightly lower than the Ioniq Blue, which has fewer features and special, low-rolling resistance tires. 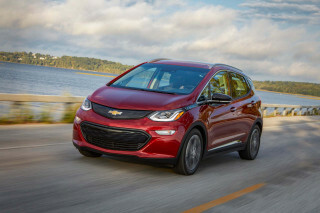 The Electric model’s 124-mile range is similar to VW’s e-Golf, but it lags other longer range competitors such as the Chevrolet Bolt EV. 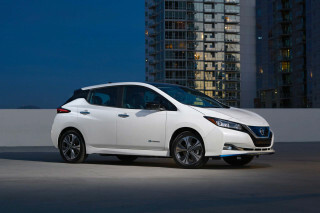 Its energy efficiency rating of 136 MPGe makes it the most efficient car sold in the United States today. 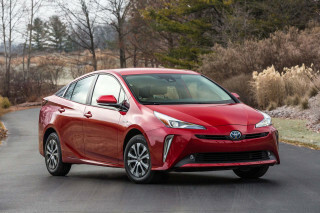 It outdoes the more expensive i3 from BMW and the Prius Plug-in Hybrid. The Ioniq Plug-in Hybrid isn’t far behind. The EPA says that it can drive 29 miles on electricity alone, and will manage 52 mpg combined operating as a conventional hybrid. Those two figures contribute to its 119 MPGe rating. Looking for a different year of the Hyundai Ioniq?